When I did my first post, I didn't really know what I was doing and where I was going. Now don't get me wrong, I still don't - but I have decided to approach my actual projects like a real grown up quilt blogger - and do LABELS, and show progress, and techniques I used... and so on. I may still do a once a week "in review" type of thing, and also have bits labelled under "inspiration", to keep track of ideas and stuff. Hopefully one day I'll learn how to do those little things down the side so you can click on a project and find the whole process in one easy step. Hopefully, there will also be some "finished" items, instead of a steadily increasing pile of started but stopped. So, with no further ado, I give you Riley's Blooms (note the name - flash aye?) 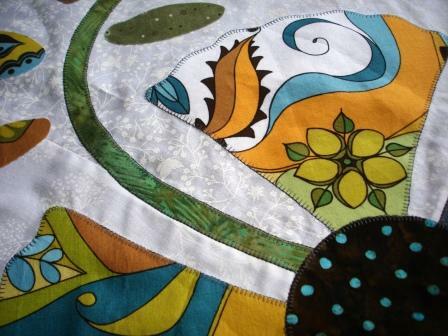 Named for the designer of the fabric - Riley Blake, from the "Lola's Posies" line. This project appeared in American Patchwork and Quilting February 2011 and was designed by Lorraine Hofmann. 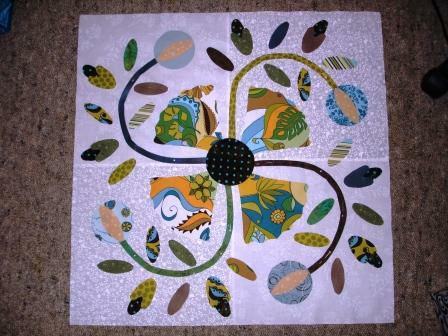 combined makes a very large quilt - even for me! 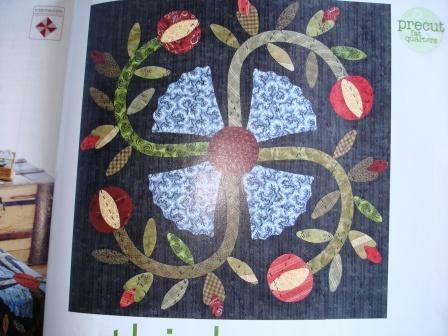 ﻿ The original has needleturn applique on a variety of black backgrounds, then a scrappy mix of greens and reds for the buds and leaves. 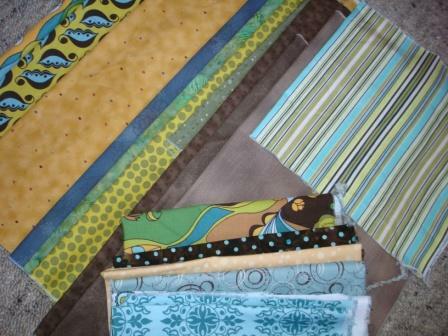 I hadn't really intended to use these fabrics for this project (does anybody actually plan things like this? ), but with my day off sick with the kids last week, I bought the fabric on a whim, then looked at Ivory Springs post about applique and thought - why not - no reason I couldn't use these yummy fabrics with a contemporary influence, for a rather more traditional design. And a new project was born. ﻿ Following Ivory Springs suggestions, I used a thinner thread (not sure what size but it is finer than Aurifil 50) and set my machine on the narrowest width blanket stitch. My machine has a minimum width of 2.5 and so I set the length at 2 - and off I went. Looks very neat and tidy and I decided to use the same grey thread for all the pieces. I also used a bias strip maker for the first time, and got very nice stems very easily although they are narrower than the original design - I quite like the space it gives around the design elements. 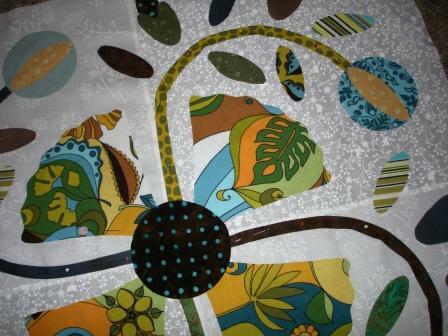 So far I have blanket stitched the larger shapes, and just have the leaves and smaller buds to finish.